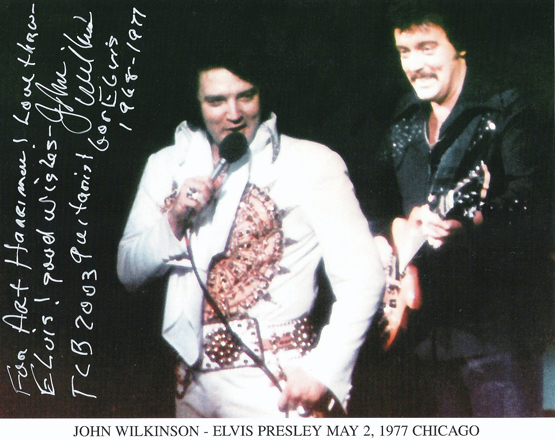 My special time with elvis! 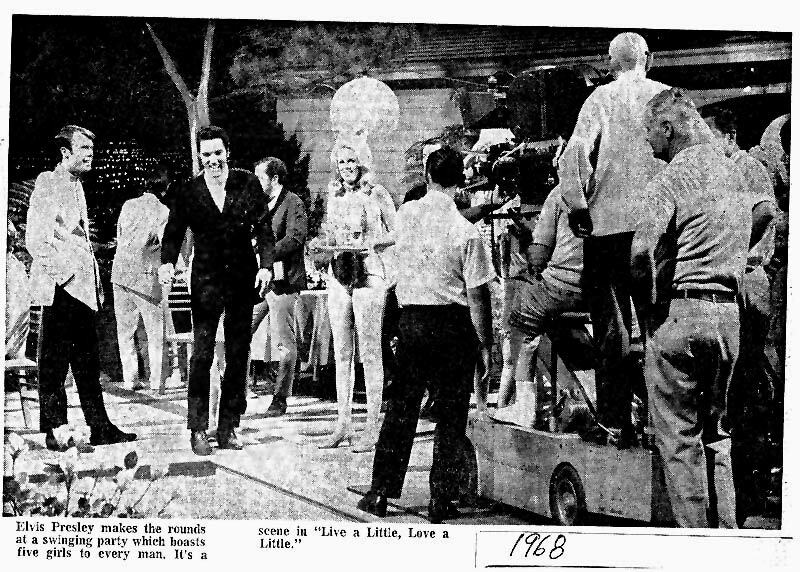 "LIVE A LITTLE, LOVE A LITTLE" 1968 ... Art is the one in the wine colored jacket with purple accents. 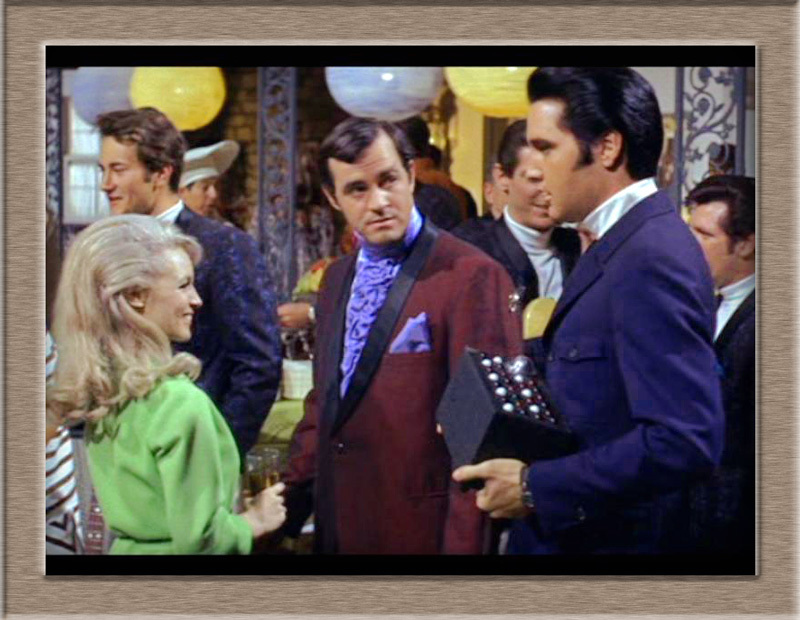 THE GOOD NEWS - Big Bear Lake, CA – May 6, 2003…In this scene from the 1968 film “Live A Little, Love A Little”, Elvis Presley is telling Art Harriman to play “A Little Less Conversation, A Little More Action.” The song was written for the movie thirty-five years ago by Mac Davis. -The same song re-mixed in 2002, was used as the soundtrack for the Nike 2002 Secret Tournament Advertising Campaign, and became the #1 song in the UK and twenty-seven other countries as well as being on the Top Ten Pop and Country Chart in the USA in 2002 and 2003. Elvis Lives On . . .
Charlie Hodge was Elvis's friend from the army days that handed Elvis all of the scarves during his concerts as well as played rhythm guitar during his show. In the movie “Live A Little, Love A Little” Charlie Hodge was Art’s (Art played Elvis friend and bandleader) base player in his band. 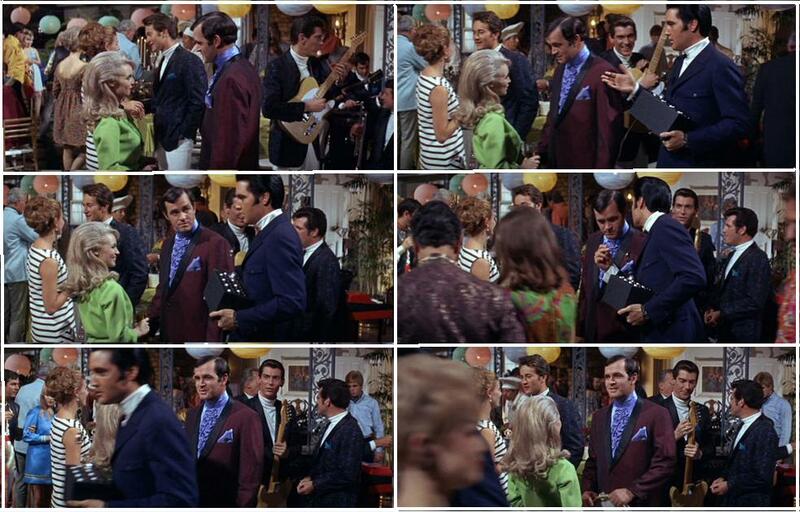 (Note: Charlie Hodge is the shorter man talking to the person holding the lead guitar directly behind Art in the last two of these series of six still shots posted directly above). 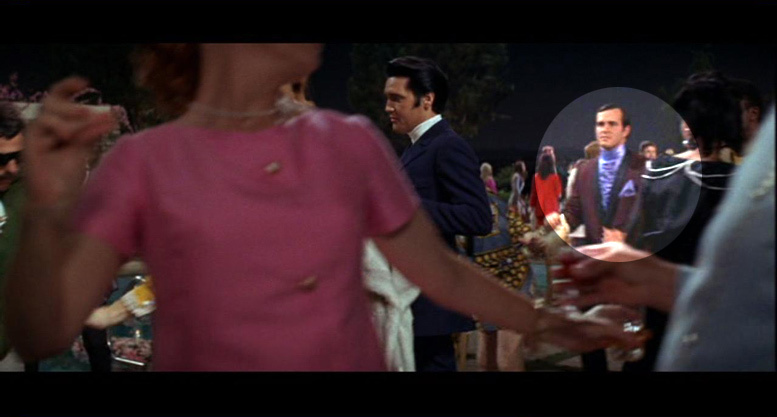 Art sat in Elvis's movie set chair many times.